Gov. 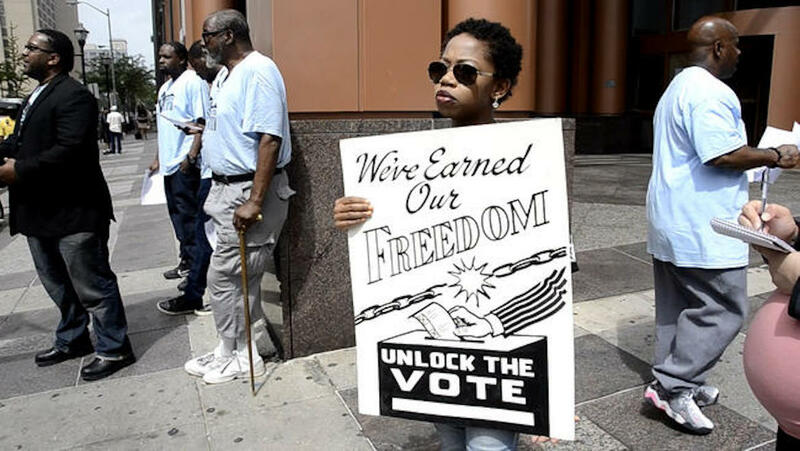 Terry McAuliffe’s decision to restore voting rights to more than 200,000 felons violates Virginia’s constitution, the state Supreme Court ruled Friday, dealing a major blow to the Democratic governor with implications for the November presidential race in the crucial swing state. In a 4-to-3 decision, the court ruled that McAuliffe overstepped his clemency powers by issuing a sweeping order in April restoring rights to all ex-offenders who are no longer incarcerated or on probation or parole. The court agreed with state Republicans who challenged McAuliffe’s order, arguing that the governor can only restore voting rights on a case-by-case basis and not en masse. Enacted after the Reconstruction period, these laws continued in force until 1965. They mandated de jure racial segregation in all public facilities in states of the former Confederate States of America, starting in 1890 with a “separate but equal” status for African Americans. Facilities for African Americans were consistently inferior and underfunded compared to those available to white Americans; sometimes they did not exist at all. This body of law institutionalized a number of economic, educational, and social disadvantages. De jure segregation mainly applied to the Southern states, while Northern segregation was generally de facto — patterns of housing segregation enforced by private covenants, bank lending practices, and job discrimination, including discriminatory labor union practices.